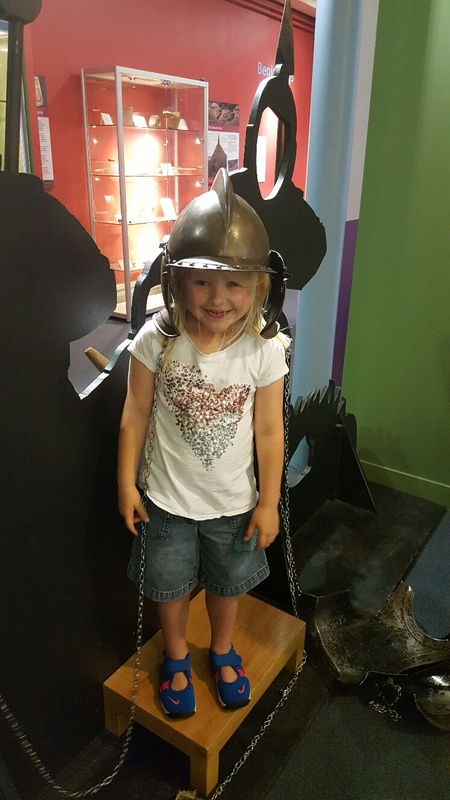 Our family visit to Bailiffgate museum in Alnwick to discover their ‘Wild’ exhibit was a one that we thoroughly enjoyed. The museum is set in a lovely old church building that still has its original features. There are a lovely set of steps to help you gain access with a lift sign posted for wheelchair users and pushchairs. When we first arrived we were greeted by a lovely lady called Sheila who was a volunteer at the museum and she made us feel instantly welcome. Asking Oliver and Katie-lee their names and if they were enjoying being off school and if we had come to see their ‘Wild’ exhibit. 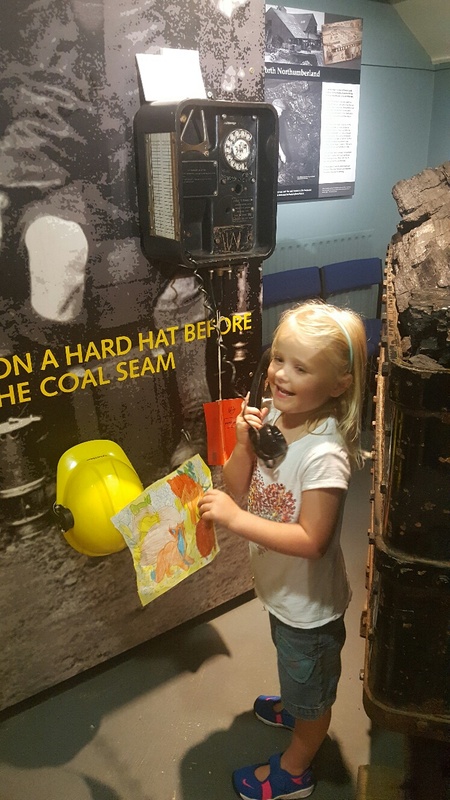 She was delighted to hear that we were and was more than happy to give us a little more information and also a mouse hunt sheet for us to find all the mice in the museum. For Oliver there were mouse facts he could find and write down; which he thought was great. We started on the ground floor of the museum where it takes you through the history of Alnwick starting with the Percy family. Straight away you have an interaction board where faces are missing and there are dressy up clothes. Oliver and Katie-lee got straight into it and tried on some armour which was very heavy and uncomfortable, then they both had to put their faces in the holes. As you walk around the ground floor you come through how the town has developed and into the school. You are met with a model of a teacher who is very lifelike so much Katie-Lee went and said hello. They both got down to working at the old wooden desks playing teachers as she likes to do. As you continue through the museum you continue through time to our current year. When we got to the ‘Wild’ exhibit we couldn’t believe what was there. As you come through there is another dressing up rack filled with animal costumes which the kids delved straight into. The costumes were different animals and in different sizes so they are accessible to all. The exhibits are in glass cases and each holds 3 sets of information on the animals; Ecology, Taxonomy and Biology. Facts are informative but not too much for an older child to pay attention. Oliver went around each exhibit about 2/3 times. 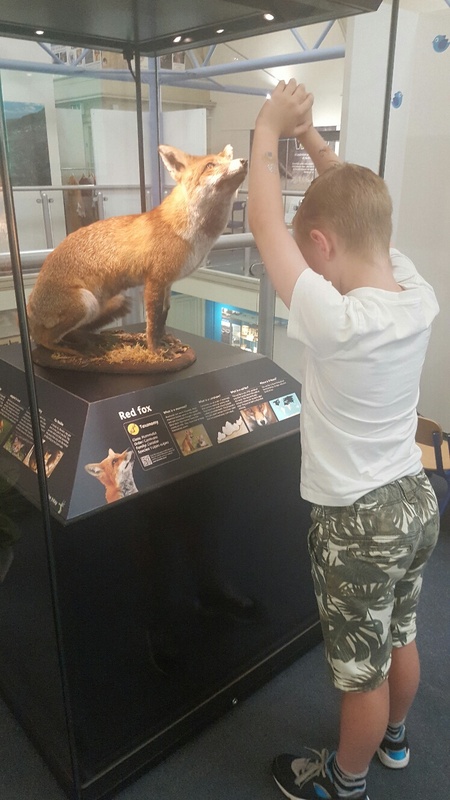 He has just finished learning about animal habitats at school so was able to add to his already extensive knowledge and share his own knowledge. 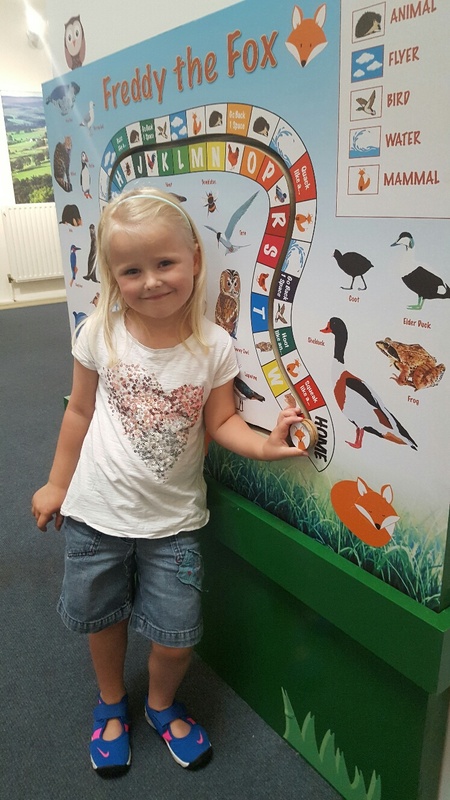 As you go around the exhibit there are interactive points for children tables for them to write down the animal facts alongside books to extend their knowledge a lift the flap board with animals underneath, a large board game for you to help get the fox home which Katie-lee thoroughly enjoyed. 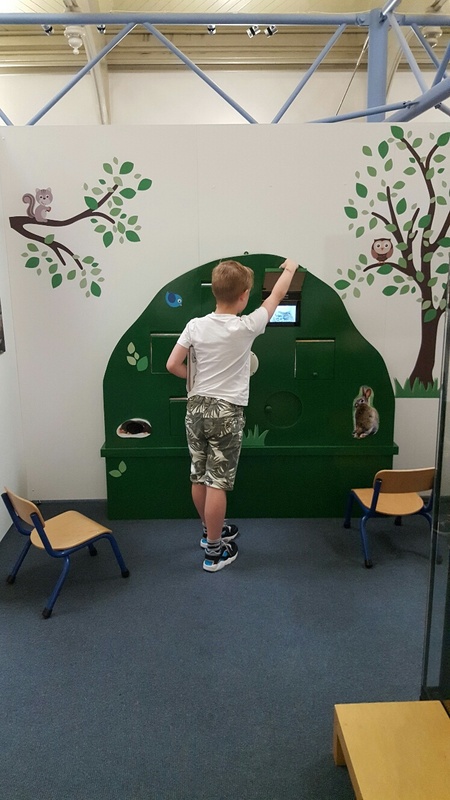 As you go further around the exhibit there is a painting where you have to work out what animals are in the wrong habitat, a puppet show with excellent animal puppets and a reading corner with colouring resources, cushions and lots of children’s books. We were in heaven in this corner; the kids spent at least 30 minutes colouring in and working out their puppet show. 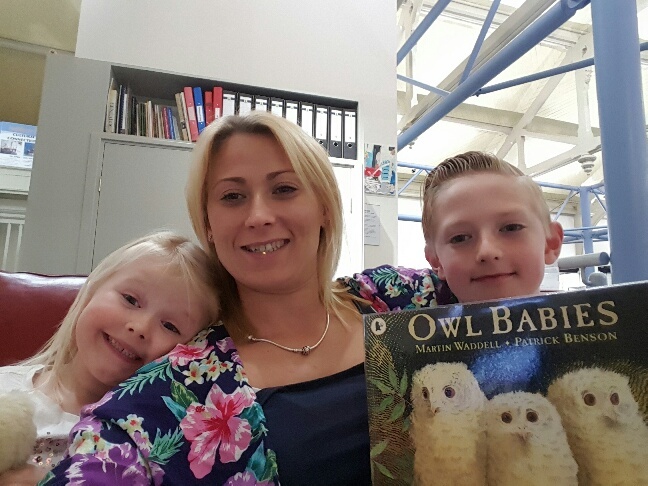 We finished our visit by reading one of Oliver’s all- time favourite books ‘Owl babies’ and we each found an Owl to hold. We then realised the museum was closing and that nearly three hours had passed by so quickly. As we came back up to reception Oliver realised he had one mouse fact missing. 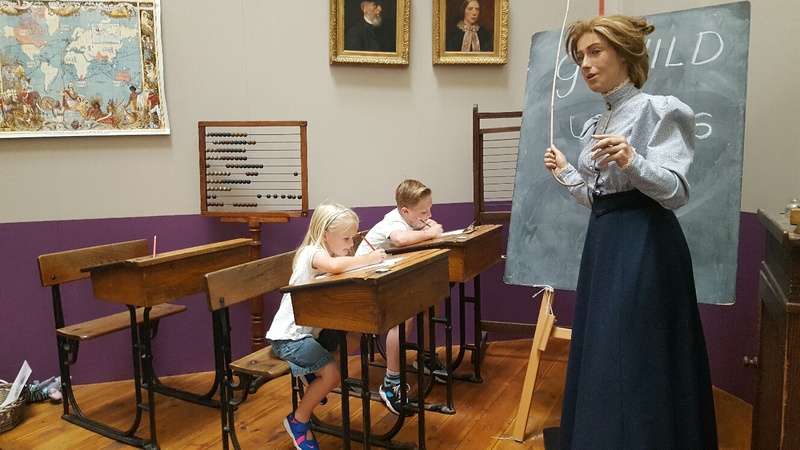 Sheila took it upon herself to go back around the museum with Oliver until they found the missing fact so he could fill in his sheet. This was very kind as it was after 4pm when the museum shut. I would highly recommend a visit to Bailiffgate, staff are welcoming and friendly access is easy as there is a lift to all floors and they have a very clean disabled toilet which includes your baby change. As well as single toilets too. Another plus for the museum this summer is that it is a Pokemon go Spot. Which went down well with all of us. The museum has a high star rating on trip advisor and for the price of the entry fee it is money very well spent. As it has lots of interactive spots around the museum I would say this is suitable for very young toddlers up to teenagers. The museum also offer family sessions on a weekly basis which looking at their website look really good. We will be going back to Bailiffgate Museum to see their wild exhibit again and hopefully lots more of their future exhibits too. You can find Stacey from Much Loving Touch on Facebook here. Stacey offers 1-1 baby massage classes and baby & toddler yoga classes on Saturday mornings at Shiremoor library. Entry to Bailiffgate Museum in Alnwick is only £4 for adults, £1 for children and under 5's are free. Please check their website for opening times & directions. The Bailiffgate 'Wild' exhibition continues until 4th September 2016. Disclosure: Stacey and her family visited Bailiffgate on our behalf and received free entry in return for an honest review. This looks like a super fun day out for the family! I don't have anything like this for kids where I live. This looks like so much fun! I love that the museum has so much interactive activities - there's nothing like making learning fun! This looks like such a fun thing to do with the kids. I love it when you can get lost in a museum, when they offer so much to do which helps you and the kids learn so much!